Hanoi (VNA) - Vietnam's benchmark VN Index advanced on August 23 from a two-day decline as investors were attracted to cheaper stocks after the market’s recent drops. The HCM Stock Exchange’s index gained 0.62 percent to close at 765.98 points after having fallen a total 1 percent in the previous two sessions. More than 158.5 million shares were traded on the southern bourse, worth 2.76 trillion VND (nearly 123 million USD). August 232's trading figures were up 2.9 percent in volume and down 4.5 percent in value compared to the previous day's numbers. Market trading condition was quite positive as the number of gaining stocks was balances with that of declining ones. Large-cap stocks in the VN30 basket also performed well. Eighteen of the 30 largest companies by market capitalisation in the basket made gains, bringing the VN30 Index up 0.6 percent. The biggest gainers among those large-cap stocks included brewer Sabeco (SAB), property developers Novaland (NVL) and Vingroup (VIC), food and beverage producer Masan Group (MSN) and lender Bank for Investment and Development of Viet Nam (BID). The performance of blue chips had a broad range of positive impacts on smaller, speculative stocks such as real estate company FLC Group (FLC) and Japan-Vietnam Medical Instrument JSC (JVC). Positive trading on the HCM Stock Exchange also pulled the HNX Index of the Hanoi Stock Exchange up from its intraday low level of 100.38 points. The HNX Index finished on August 23 at 101.28 points, up 0.41 percent from the previous session. It dropped 0.3 per cent on August 22. Market trading liquidity on the northern exchange dropped sharply by 20 percent in both volume and value from August 22's numbers to 35 million shares and 397 billion VND. 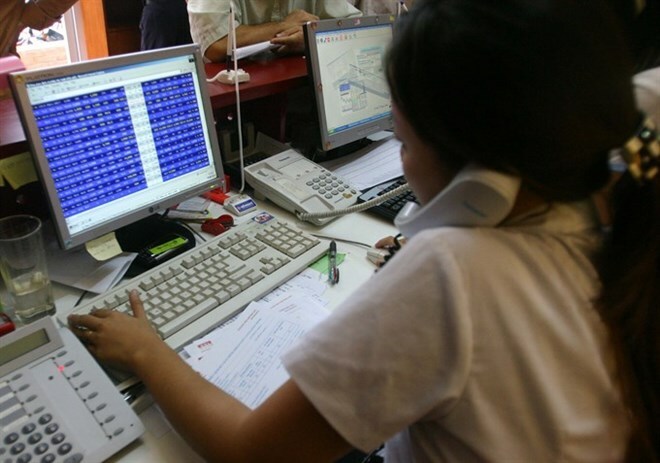 The VN Index made its rebound after it fell back to the supportive range of 754-760 points on the forecast of Saigon-Hanoi Securities Company (SHS), proving that investors started to scoop up stocks as they retreated to attractive price levels. The trading liquidity improved slightly, signaling the money has returned to the market, SHS said in its report on August 23.